Is there still a place for print advertising in today’s marketing strategies? The resounding answer seems to be yes, but print is increasingly being used in concert with digital media. Successful companies understand the need to provide original and compelling content across multiple media, so it’s important to analyze your brand’s needs to determine the best way to reach your audience. Both print advertising and digital marketing have strengths in areas where the other is lacking, so each medium can enhance the other. In response to the rise in digital marketing, and in an effort to promote online sales and increase customer engagement, Musician’s Friend recently introduced a first-of-its-kind interactive digital catalog. The musical instrument Internet retailer developed the digital marketing tool to provide customers with a more satisfying shopping experience in tune with their musical interests. 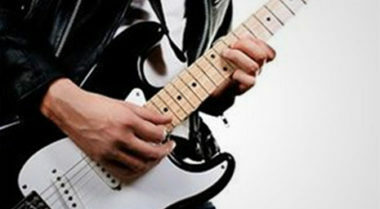 DirectMarketingNews.com reported on how the innovative digital catalog offers a link between the touchable essence of musical instruments and the convenience of online shopping. “One of the challenges that we continually have in the digital space is the need for musicians to actually pick up, feel, and interact with these very unique, very beautiful instruments in a way that can only be satisfied in the brick-and-mortar space,” said Ryan Villars, Musician’s Friend’s director of brand experience. As a result, the company created a digital catalog that allows customers to virtually interact with the instruments in a way that has never been done in the digital marketing realm. 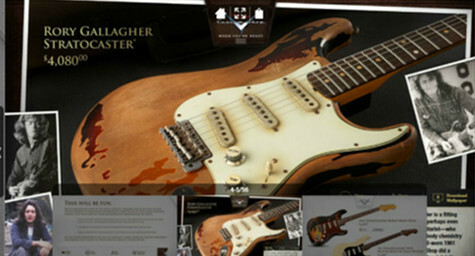 From strumming a guitar to hear its tune to showing stunning photographs in vivid detail, the digital catalog was designed to let customers inspect the intricacies of the instruments as if they were holding and handling them in real life. Now, customers can have the hands-on experience of physically shopping for a guitar enhanced by the digital benefits of video, audio samples, 360-degree photographs, and swiping action. In addition to its remarkable animated qualities, the digital catalog is unique because it lets customers stay within the catalog to experience every element of the instrument and shopping experience rather than directing them to a secondary site or source. This streamlines the entire purchasing process by including the product information, experiential elements, and payment system all within the digital catalog. It also allows the company to keep customers engaged and present on their site to increase the likelihood of purchase completion. While there is enormous excitement about this new digital catalog, the company insists that it will never replace their hard-copy print catalog. Rather, they are meant to enhance one another. To discover creative ways to combine print advertising with digital marketing to capture your audience’s attention, contact MDG Advertising today at 561-338-7797 or visit mdgadvertising.com. MDG Advertising, a full-service advertising and digital marketing agency with offices in Boca Raton, FL and New York, NY, specializes in developing targeted Internet marketing solutions, exceptional creative executions and solid branding and media buying strategies that give clients a competitive advantage. Our core capabilities include branding, logo design, creative, digital marketing, print advertising, direct mail marketing, media planning and buying, TV and radio, Web design and development, email marketing, social media marketing and search engine optimization (SEO).